It's that time again, North American gamers, for the Nintendo Download Update to bring more treats to Wii U and 3DS. This week we have some Rare action on the Wii U, Smash Bros. DLC, StreetPass extras, another Sega classic and much more besides. Let's get to the details. Missed the European Nintendo Download Update earlier this week? Oh no! Don't fret, the details are right here. Word Search by POWGI (Lightwood Games, $7.99) - Promising more than 300 puzzles and 27 categories, this word search game utilises the GamePad for touch controls, while another four players can join in using Wii Remotes. We'll see how this word game defines itself for our review. Tilelicious: Delicious Tiles (BattleLine Games, $5.99) - A puzzle title that taps into word and tile-play that's become hugely popular on smartphones, it brings a colourful aesthetic and a twist to gameplay; you're chasing a completion percentage rather than a high score. We weren't overly enamoured with this, and you can read why in our Tilelicious: Delicious Tiles review. Donkey Kong 64 (Nintendo, $9.99) - The steady influx of Nintendo 64 games onto the Wii U continues with this 3D platforming Collect-a-thon from Rare. It was a bold departure for the DK IP when originally released, with a hefty playable cast and a fair amount of re-traversal in order to collect everything needed for progress. Though still with its charms, we gave it no more than a reasonable recommendation in our Donkey Kong 64 review. 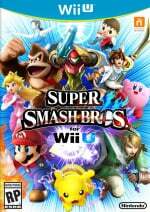 The first batch of paid-DLC arrives for Super Smash Bros., with the following options all available on a single copy or across both versions. If you buy a pack for both versions, you receive a download code for the second copy. 3D Fantasy Zone II W (SEGA, $5.99) - This is a remaster (up to arcade standards) of the Master System title that followed the iconic arcade original. We're big fans of this one's predecessor and M2's work, and this'll have the usual stereoscopic 3D and extras, including an endless mode. We'll blast away some foes for a review. A-Train: City Simulator (Natsume, $29.99) - If it's your dream to become CEO of a public transportation company, this may be the game for you. This one's all about resource and city management as you try to keep services running smoothly, while a map editor allows you to create your own challenges. We'll try to keep the trains running on time for our review. Pazuru (Joindots, $5.99) - Another puzzle title to join the ranks in one of the eShop's most crowded genres, this one challenges you to manoeuvre a ball through a variety of tricky levels while manipulating the environment; you can also create and share stages with QR codes. We gave this a recommendation in our Pazuru review. DOOORS (PUMO, $4.99) - This is an intriguing puzzle game that's previously done the rounds on smart devices, in which you solve different kinds of puzzles to get through the titled doors (or dooors). The puzzles will utilise standard button controls, but also the microphone and gyroscope on the 3DS. We'll bring you our review soon. 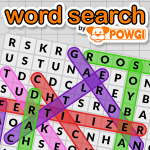 Word Search by POWGI (Lightwood Games, $7.99) - The portable iteration of the same release, albeit with differences in categories and an absence of multiplayer. We'll bring you a review soon. We will produce an impressions feature on these new StreetPass DLC games following release. StreetPass Mii Plaza – Ultimate Angler (Nintendo, $4.99) - Each StreetPass hit earns you bait with which to fish, and you then set about catching more that 150 types of fish, buying new upgrades with money earned in the process. 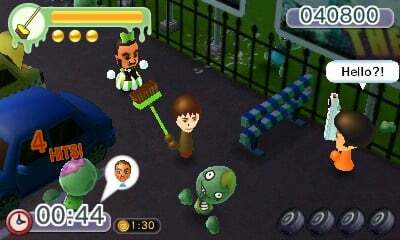 StreetPass Mii Plaza – Battleground Z (Nintendo, $4.99) - Fellow 3DS owners give you weapons with a StreetPass hit, and you then set off to kill hoards of zombies. Naturally they'll be relatively cute zombies, but they're undead nevertheless. StreetPass Mii Plaza – StreetPass Mii Plaza Upgrade (Nintendo, $4.99) - On the surface this seems like a rather superficial purchase, opening up options such as recording birthdays and a 'VIP' area for up to 100 Mii characters. Like with all the StreetPass extras we'll take a look. As a reminder, there are only a few days remaining in the eShop Super Spring Sale, which ends on 20th April. So there you have, North American gamers. Let us know what you plan to download in the poll and comments below. DK64 is the first thing I'll get. Then Streetpass games. No Puzzle & Dragon demo. Is the Yoshi theme free? You didn't put the price. Just the Smash DLC for me I guess. Still waiting on those 1st party GBA titles that EU has and the next Ubisoft sale. God what a terrible week! Only thing i want is DK 64. I loved the first COSTUME QUEST... So I might grab part 2 and then wait untill Halloween to tell the kids, lol. A good week to spend part of my tax return on digital games and dlcs. Almost like they planned it. Anyways, mark me up for all the dlcs and Paparazzi, maybe Castle Conqueror EX if the price is right. Still have to get that Kirby Triple Deluxe game before the sale is over (4/20). I really enjoy the streetpass games, so I'll be getting those. It's usually pretty difficult for me to get Streetpass hits on a normal day, but I'm visiting New York City soon, so I'll certainly get some hits there. 9.99 for a 16 year old N64 game? Come on Nintendo. ALL the Streetpass DLC. Just in time for Gen Con and other conventions. Thank you, Nintendo !! I'll get DK64 when I'm done with the DKC trilogy. I grew bored of streetpass so I'm going to pass on this new set of games. SO ITS FINALLY HERE, PERFORMING FOR YOU, IF YOU KNOW THE WORDS YOUR CAN JOIN IN TOO!! HUH!!! The discount on Lucadian Chronicles is a very good deal - lots of gameplay for $5, anyone who enjoys strategy or card games in real life should check it out! Don't believe me? NintendoLife review gave it an 8/10. Got all the Mii DLC outfits and Mewtwo on both versions yesterday, I will be good for a while longer. I just want all the new Streetpass DLC. Nintendo hurry up and put it up already so I can download it. Donkey Kong 64 for sure! If you're thinking of getting Costume Quest 2, please do. Such an underrated game. Lucadian Chronicles cannot be recommended more by me, especially at that price. Dark Roast has done an excellent job of supporting it and the game is extremely well done for a card strategy game. Is there much difference between the two fantasy zones games? is the sequel worth it if you have the first one, or is this a one or the other situation? I'll be getting a Wii U soon so I'll get DK64 without a doubt then, but I will absolutely be getting the StreetPass goodies today. I think StreetPass is one of my favorite 3DS features - if you do a google search for info on these StreetPass things, look for a Gamefaqs forum thread about it. Some people with Japanese 3DS' already have it and it sounds worth it to have VIP if you StreetPass frequently. You'll get plaza tickets for birthday streetpasses, can skip greetings, apply wallpaper to your greeting text, etc. — pretty neat. Another vote for the big monkey. I never played this one back in the day, so I am looking forward to it. And I am tempted to get the Megaman related costumes. Its nice to have choices..
@ThomasBW84 maybe you could remind people that there are a few days left in the Spring Sale that ends on Monday April 20th. If you add those games to these it makes the week look better. Oh, I'll just do it for you. I have been waiting for Donkey Kong 64 forever on the Virtual Console. Probably my fave DK game of all time, but I'm also eagerly waiting for the Mii Plaza DLC as well. 7:30am here in LA, are those Streetpass games up yet or is it just me? Ooooh banana!... err I mean Donkey Kong 64 is what I'll be getting today. @shigulicious I wouldn't mind Pandora's Tower. I wasn't able to get a copy of that. @CanisWolfred I thought the demo was supposed to come at the end of April, I'm looking forward towards it too. Got it! https://www.dropbox.com/sc/biy4q4wwfc2cygz/AAC1vZcdYm46KYeLzfcReprpa it may have been as I went into it so fast? @DiscoGentleman I know the PS3 version of Costume Quest 2 received a patch so the Wii U version probably did too. A-Train actually came out on the 14th. It's really indepth so fans of deep simulation games should enjoy it. does it seem like they've completely forgotten the 3ds also has a virtual console? Doesn't really affect me but just seems odd. I might get the streetpass games. I don't have the old ones yet. Are they any good? The only thing new this week that interests me is Pazuru. I'll definitely be getting the new StreetPass games but considering my current StreetPass situation they can wait. @Volmun can I ask how you did it? I'm in the us NY state and I haven't been able to update at all, it keeps telling me I'm up to date and it's driving me crazy. Already bought Fantasy Zone 2, was waiting for that one. For someone who only knew the Sega Master System version, this is quite different in how the zones within a level work, shop placement, life meter and so on. Still, I love the music, the 3D effect is excellent, and I am looking forward to unlocking some stuff, we'll see. Honestly, that's how you remake/remaster classic games, those Sega 3D ports are just awesome. Will NintendoLife be reviewing the new Streetpass games? @natsugami mabe give it a Bit of time as the UK and US stors update at diffrnt times- For me i just checked the update plaza option every so offten lol it was annoying me too (and stressing me out a bit after the last time with all the glitches) Best of luck to you. The streetpass games sounds interesting, sadly I don't get a lot of hits out my way. No 3ds vc again. If it wasn't for sega or capcom there would be nothing nowadays. Dk 64 is great,but what's with the chaotic almost random releases on wii u vc? Can we please finish up with gba games before moving on to ds&n64? Nothing for now. I'm still waiting on some outline for their Club Nintendo replacement. I still haven't been able to download the Streetpass updates. Anyone not get it yet as well? Definitely getting Donkey Kong 64. I voted for 3DS Fantasy Zone II, but I'll also be getting the Streetpass games. I only need 12 more pieces for the Monster Hunter puzzle panel to finish all of my puzzle panels. I've lost all hope we'll ever see the eShop here in Brazil. Is Fantasy Zone 1 still worth getting? @MKCustodial Well, the 3DS e-Shop have a Brazilian version, but mostly Brazilians that I know have canadian accounts (to pay less for a title). The new StreetPass games are up and there's a Thank-You bundle if you've previously purchased the older StreetPass games. Both of the new games for $6.99. Hasn't Code of Princess been on sale for almost two years straight now? Prepare thy nostalgia-goggles and put away them pitchforks. DK64 FINALLY appears in the NA VC! Wallet is safe for another week. @Cyberbotv2 I smile everytime I see a comment from you because I love your MoonWalker image lol. So, cheers for that! I'm grabbing DK64 at some point, mostly for the novelty factor. @MJKOP : Same here! I wish Moonwalker would show up again on the VC. That would stop my belly aching! Time to bust out the dollar bills- DK64 has arrived! Seems like I'm spending $10-30 a week, sometimes more, on VC and DLC for Wii U/3DS. Not that I'm complaining. More money spent means more great games in the collection. Just finished downloading the new Streetpass games and they're both awesome. Just wish I'd saved more of my older Plaza tickets for the newer goodies coming out. Time to earn some more then. DK64 and fantasy zone II baby! I wish sega would put some classics on wii u already!! DK64 for me. I never played it on the N64, so this should be a nice treat. The Street Pass games and Fairune... how much does it costs now? @Palom both are classic sega shooters! Grab em!! @DiscoGentleman It's a very charming RPG with great storytelling and worldbuilding. Its problems come mostly from frame rate and platform optimization issues, but they're not enough to warrant the 6 grade Nintendo Life gave the game in my opinion. I spent about eleven hours to get everything, and loved every minute. EDIT: Not 100% sure if it received a patch, but I do remember reading something about that. Laughing @ the whining over $10 pricing for DK64. It'll easily be $20+ for the original cart and if you need the expansion pack that'll probably be another $25+, so this is clearly a good deal if you don't own one or the other. Still, I'd rather be able to do everything the proper way, you know what I mean? Probably the Mii costumes when I get more credit to my e-Shop account. Edit: I might also get DK64, just for the inclusion of the DK arcade. I got the Smash DLC last night and got the bundle of the Mii outfits last night. I'll get MewTwo later this month. DK64 is mine, and the arcade perfect DK game within will be mine once again... oh how I miss it. Yes, I will pay $10 and play a portion of the game JUST to unlock it. Fairune was already dirty cheap, and it's going to be discounted further? Guess I'll really have to pick that up now. I don't know why, but I'm still a sucker for some Streetpass games, so I'll likely get the bundle on that too. On top if this, MK8 to play. I've got a packed night ahead of me. Got DK64 and the Smash DLC. I think the DLC is a bit pricey for just some costumes, but I'm a completionist, what can I say. Guess that explains why I love DK64. And next week, MK8 DLC that I already bought and Mewtwo. Sweeeeeeeeeeeeeeeet. Nothing this week but I did pick up Affordable Space Adventures. What a great game with a good sense of humor; I hope it doesn't get forgotten come award time. Why does the "Nothing for me this week" option and its voters displease me so much? My distaste is irrational. A cure for a major illness could be available and "Nothing for me" would still be voted. Ha! Though I won't be picking it up this week as soon as I want a classic DK game to play I am going directly to the E-Shop to purchase DK 64 ! I would consider DK64 but I'm not a fan of the collectathon nature of it. If only they would put it at a cheaper price for the first day, just to persuade people on the fence to just impulsively buy VC games when they first come out, sort of like how they made the Wii classics only $10 at first. How does is it compare to the classic Transport Tycoon? I bought the Mii Plaza Thank-you bundle and so far am not regretting it. Will North America also get the StreetPass weekend free 3DS theme too? I don't understand the hate for Donkey Kong 64, I enjoy it more the Banjo and it still holds up great imo. Yes it's a collect fest but really it's not that bad. One of my favourite games of all time, most ppl will laugh at that statement. Long game so well worth the 80-90$ we had to pay in Canada in 1999 which was like 130$ in today's inflation. I never understood the hate this game got. Anyways I picked up Donkey Kong 64 and loving it so far, much better FRAMERATE then the 64 version. Loved DK64, still do, but collecting the 100 bananas per ape per stage was a bit much... not necessary to complete the game, but still kinda crazy. I have already made a Proto Man Mii, and he has defeated Mega Man at Wily's castle. It could be that some people only have the 3DS or Wii U and there is nothing they want for their one platform. Neither list is really overall great. DK is a nice Gem but that is Wii U only. @MagicEmperor Judging by the votes, the "nothing for me" option got 19% votes, which is unusually low. Normally on an "average" week it's closer to 50%. I voted the DK64 of course, been waiting since forever, but I also got the Streetpass Mii Plaza updates, free Mewtwo DLC, and I purchased both Zelda-related costumes and the cat suits in Smash Bros. And free MK8 DLC/Updates next week (because I prepaid months ago). My only gripe about the VIP room in the Mii Plaza is it doesn't retroactively apply the birthdays if you've already got hundreds of tagged Streetpass Miis in your plaza. When the hell are they gonna release more Wii VC games??? They always do this where they rollout a new system, release a couple of games & then it disappears for weeks at a time. Why does the "Nothing for me this week" option and its voters displease me so much? At least 2% of the people are buying A-Train. That's better than I thought. @Bass_X0 That's true (though there are separate pages for NA and EU), but 3D Fantasy Zone II W came out both regions. It's reasonably priced and it's the arcade style sequel that the original FZ should have had back in the day.